Is Speaking Your Biggest Fear? Please note: I never had the chance to ask a question in front of the 13,000 people at the Tony Robbins event, but just deciding to speak in front of this huge crowd helped me begin to lick my speaking fears. Stay tuned for announcements about upcoming speaking engagements. This coming week, if Tony Robbins selects me at his Unleash the Power Within event, I will finally triumph over my absolute biggest fear in front of the 13,000 people in attendance. Yes, I’m one of millions with a deep fear of public speaking, but if I can, I will speak at UPW even if it makes me feel uncomfortable, makes my stomach knotted up and scares me profoundly. It’s not that I’d rather be in a coffin than speak, as some research suggests, and as Jerry Seinfeld joked, but it’s time to quit hiding away from stages no matter how big my fear. So why am I formally declaring my intention to Stand Strong and Speak to Serve™, as I put it? Lately, I’ve been thinking a lot about the the amazing Louise L. Hay, who passed away August 30 at the age of 90. It’s tough to describe the profound influence on me by this remarkable, trailblazing, positive-thinking woman, who I’ve had the pleasure of meeting four or five times over the past few years. In fact, one of my fondest memories about Louise Hay is that I had the distinct honor to talk with her at her fabulous, private 85th birthday party in San Diego in 2012. The stunning party was for Hay House authors, and I was sooooooooo thrilled, because my second book, Beyond Sugar Shock, was but two months away from reality by none other than Hay House, the publishing house I so admired. You, too, I imagine — if you’re into growing, reaching your potential and becoming the most wonderful person you can be — have been positively guided by Louise Hay. 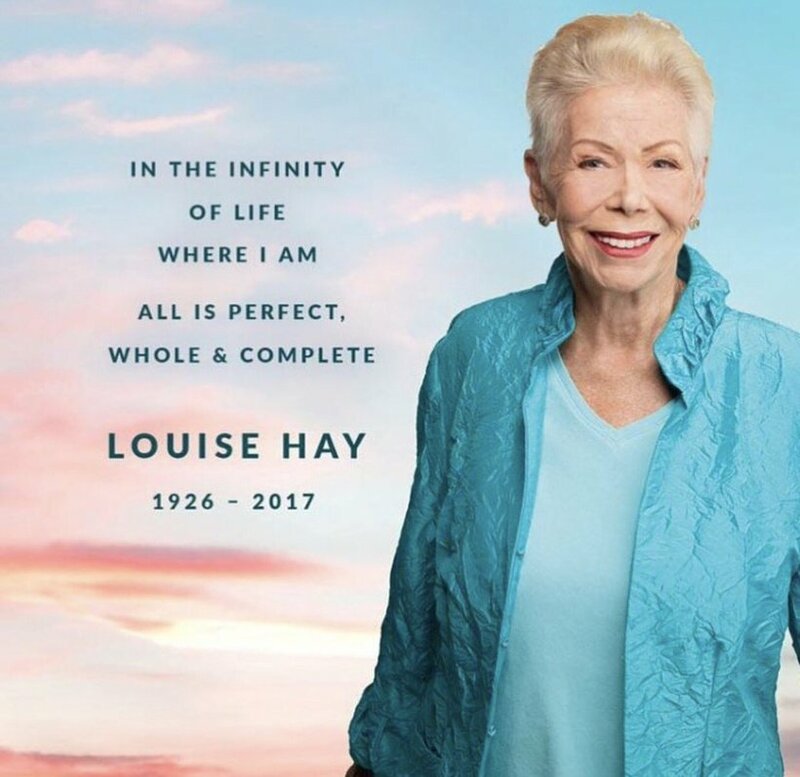 All of us, thankfully, can still be guided by this legend although Louise Hay is no longer on this earth. By the way, if you don’t know much about Louise Hay, I urge you to find out now and I’m sure you’ll be inspired when you do that. For instance, do you know the following three tidbits? Did you know that Louise founded Hay House in her living room? Did you know that You Can Heal Your Life has sold 50 million copies? Did you know that Louise founded Hay in 1984 as a way to self-publish her first two books, Heal Your Body and You Can Heal Your Life ? Did you know that when Louise got cancer that instead of doing and drugs, she “instead developed an intensive program of affirmations, visualization, nutritional cleansing, and psychotherapy” and that within six months, “she was completely healed of cancer? Did you know that Louise Hay spent years helping men with AIDs and in 1985, she began her famous support group, “The Hayride,” which, by 1998, grew to a weekly gathering of 800 people and had to moved to an auditorium in West Hollywood? Did you know that Hay House authors include many notables in the self-help movement, including Dr. Wayne Dyer, Joan Borysenko, Dr. Christiane Northrup, and Doreen Virtue? Now, let me share four major times that Louise Hay has helped me in enormous ways. Now that the year is winding down, if you’re like millions, you’re starting to think about your deep desire to shed sugary, fatty, possibly gluten-filled junk foods; shed excess weight; and Take Back Your Willpower. To help you keep on track on a daily basis, I’d like to introduce you to a simple acronym, which will help you easily remember what to do to take care of yourself on a daily basis so that you’ll easily Crush Your Cravings. Every day, I urge you to Take Your Smart M.E.D.S. (as I call them) as to way to enrich yourself and to lead a sweeter, better happier life. Bear in mind that MEDs does not mean medication. Rather, I’m sharing some ideas with you that are safer and healthier than prescription pills. 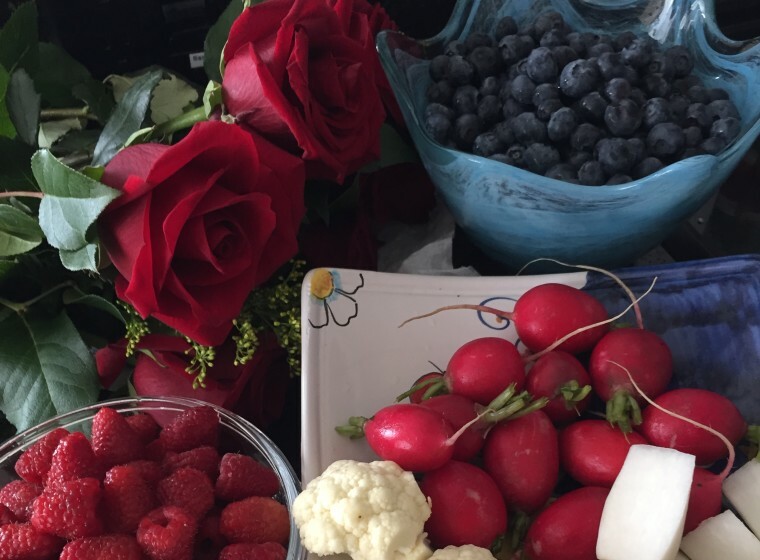 You can print out this blog post and carry it with you to remind yourself of the fun, healthy, rewarding activities you can do instead of Caving into your Cravings for dangerous sugar, gluten, fat or salt cravings. Learn now how to Crush Your Cravings by applying (not taking) what I call Smart M.E.D.S. Today and whenever you read this, I invite you to Declare Your Independence from Sugar and Carbs. Even if you’re not an American and you don’t celebrate the 4th of July, I invite you to Take Back Your Sugar Power. You’re the one in control of what you put in your mouth– not the food companies, which heavily market their sugar-filled, processed, nutrient-stripped foods. So what would Independence from Sugar mean to you? Are you going through a personal or family crisis? Are you plagued by constant physical pain? Are you feeling emotionally distraught or downright discouraged due to a breakup or divorce? Are you watching a loved one suffer agonizing emotional or physical pain due to heart disease, cancer or Alzheimer’s disease? Or are you surrounded by family members, who, because of their own emotional or physical pain, are saying angry, venomous things to you? buy the latest book, Wishes Fulfilled: Mastering the Art of Manifesting, from the inspirational Dr. Wayne Dyer. Dr. Dyer is, of course, an internationally renowned author and speaker in the field of self-development. He’s also the author of more than 30 books, and he has created numerous audio programs and videos and appeared on thousands of television and radio shows. His new book, Wishes Fulfilled: Mastering the Art of Manifesting, is truly life changing. I also recommend that you get the new, I AM Wishes Fulfilled Meditation, that Dr. Dyer and James F. Twyman have created. I can’t wait to receive it. I’m sure it will be miraculous. If you can, I also recommend that you catch the remarkable Dr. Dyer in a city near you. I’ve heard him several times — so powerful! Soothing Tunes to Calm You As You Face Anything: What Are Your Favorites? If you’re going through a challenging, stressful or upsetting time, one of the best ways to rise above the situation is to soothe yourself with melodies that calm and comfort you. Forget comfort foods that send you into Sugar Shock. They don’t work! So please help me compile a list of Soothing Tunes. For instance, the title Hans Zimmer soundtrack from the film, Gladiator, with the talented Russell Crowe as Maximus, is one of my favorite melodies. Doesn’t it evoke a feeling of triumph in you? Here’s another one from Beyonce that’s so fun! No matter how big you’re a funk you’ve landed, this’ll lift you up. So what are your favorite Comfort Tunes (not Comfort Foods, of course)? Special thanks for the photo used above. Please submit your ideas for Magical Melodies and Soothing Tunes. Here's an article I wrote to help you those of you, who are sugar addicts or junk food junkies, who need help to sweetly say, "No, thank you!" when offered those tempting, unhealthy "treats." 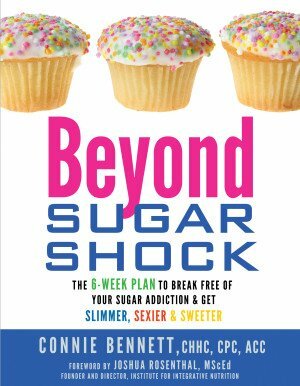 Whenever people meet me, join my Sugar Freedom Now program or work privately with me or read my book SUGAR SHOCK!, they almost immediately ask me (either in person or via e-mail), "How can I overcome my sugar cravings?" It can be challenging to say "No, thank you!" when your favorite, tempting dessert is right there, in front of you. Because it's what you do in that very first one or two minutes that can make or break your diet, I'm determined to help you get over that "Must-Have Sugar Now! hurdle." Let me share a tactic that helped me on many occasions (back in 1998) and that now helps my clients and Facebook Smart Habits Now fans. One of the most powerful and effective strategies is so simple that you’ll wonder why you never tried it in the first place. It's this: more info Simply DELAY before you put any sugar or dessert foods in your mouth. That's right, DELAY before you something that you'll later regret such as when you look at your scale a day or two later or when your pants don't fit anymore or when you become edgy and unfocused after your Sugar High. Let's be honest: If you do mindlessly nosh on those fast-acting sweets or much-like-sugar carbs™ into your mouth, won't you become feel headachy, wiped out, spaced out, moody, depressed or even angry at yourself (and maybe your loved ones)? Let me introduce you to the order now Delay Away Your Sugar Cravings Method™ buy now (also called Do Creative Sugar Procrastination™). Think about it: Most of us excel at putting things off or procrastinating, right? We have every good intention to clear off our desks, donate old clothes, organize our drawers, ditch (recyle) those not-needed papers, help kids with their homework, throw out the garbage, etc.? Clearly, all of us have things we've been planning to do but we just haven't got around to doing it. Well, I invite you to take a positive look at procrastinating. It can be a wonderful, Won't-Have-Sugar-Just-Yet Strategy. 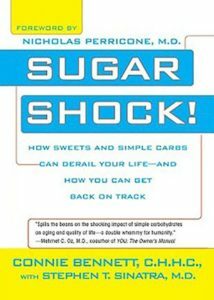 I hit upon this incredible simple technique back in 1998 when I reluctantly kicked sweets and refined carbs on doctor's orders. To this day, I continue to be amazed at how easy, effortless, and darn effective it is to just delay. What's so wonderful about this Delaying Now Method is that people of all ages—unless maybe you’re a tot—can easily cultivate this tactic. So, here's how to do it: https://conversionfanatics.com/healthandwellness cheap generic viagra Just promise yourself to delay eating that tempting "treat" for a certain amount of time, say 10 minutes. You can do that, of course! In other words, you will http://sanfordbiggers.com/bio click here Delay Away Your Sugar Cravings for 10 minutes at a time. Then, you can delay over and over again — for another 10 minutes — for a while, like an hour even. It's that easy! Now think ahead to the next morning when you're so relieved and proud of yourself that you didn't cave into your cravings. First delay 10 minutes before you eat that cookie, candy bar or brownie that's calling out to you. When you do that, you begin to detach from your destructive impulses. When you delay for 10 minutes, then another 10 minutes, and another 10 minutes, your cravings will subside while you get involved with other things. At that point, you'll also be able to put your cravings into proper perspective. When you Delay Away Your Cravings, you're taking powerful, positive, health-promoting action by simple inaction. Yes, doing absolutely nothing can be pivotal when you kick or cut back on sweets and quickie carbs. See how simple this is? When you delay, you turn procrastinating into a useful, proactive skill. Procrastinating becomes a good thing! When you delay, you can take time to find out which foods—if any—you’re really craving. Is your body really needing cookies, cake, and pretzels? Of course not! Your Amazing Body might instead be begging you for water, fresh vegetables and fruits, high-quality protein or healthy fats? When you delay, you can get in touch with your true feelings. By putting your sugar binging on hold for 10 minutes or more, you can figure out what the heck is really going. Ask yourself, "Why do I feel like I must have these sweets now?" Want more simple techniques from Gurus Galore and me? Just join the juicy, life-changing six-week Sugar Freedom Now course, which starts June 14. This session will feature renowned experts such as mindfulness expert Dr. Lilian Cheung and Law of Attraction Expert Christy Whitman. Plus, you'll be able to listen to other inspiring people on the private membership website. As we now move into fall, I invite you to ask yourself: Are you tired of battling your sugar habit? Are you fed up with your excess weight? Have you had enough of those annoying numbers of your bathroom scale? 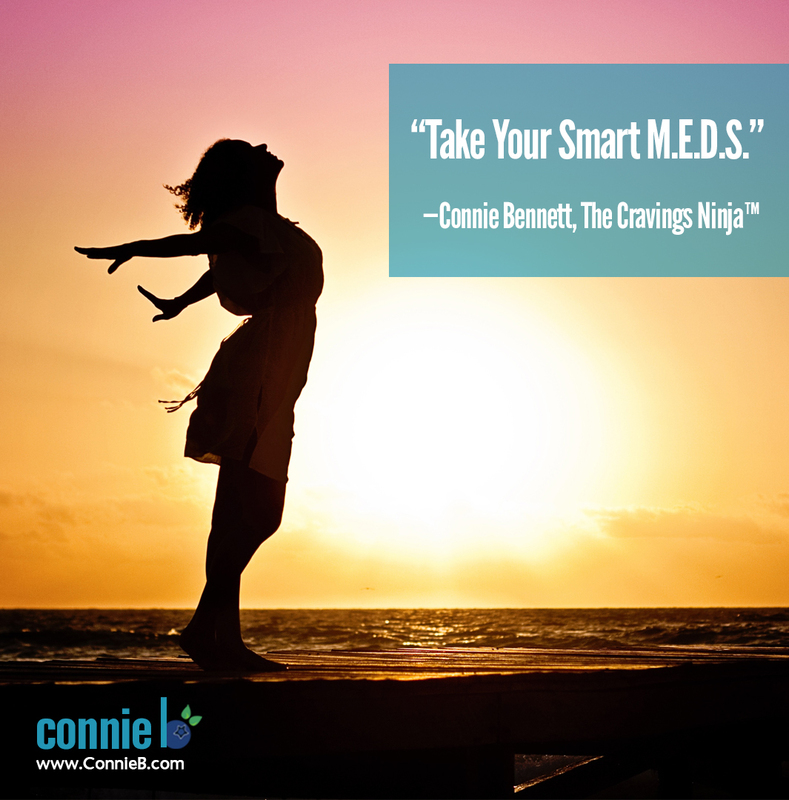 Are you ready to let go of your mood swings, brain fog, low libido and more? Then listen to my complimentary Break Free of Your Sugar Addiction, End-of-Summer Tele-Party. In this program, you will learn 10 Reasons You’re Addicted to Sugar. Just sign up below and learn how to listen to my free program. In case you’re wondering about this cartoon, this is something fun that that I hired clever artist Rose Petruzzi to create to poke fun of Connie, the Ex-Sugar Shrew! Find out now 10 Reasons You’re Addicted to Sugar. Just sign up now below so you can listen to my complimentary Break Free of Your Sugar Addiction, End-of-Summer Tele-Party. Please let me know what you think of this End-of-Summer Tele-Party. 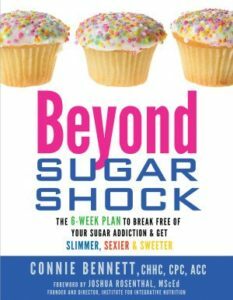 Comments (0) | | Categories: Announcements, Break Free With Connie, Catching Up With Connie, Clearing the Carb Confusion, Coaching With Connie, Dream Big, Get Fit for Life, Hay House, Help for Sugar Addicts, Lose Weight Now, Motivating Morsels, Recommends, Sugar Shockers, Sweet Stuff, Take Action! Now that Gratitude Week has come to a close, I want to extend a very special thank you to the 21 gracious, articulate, amazing experts and bestselling authors, who made this week possible. My deepest desire is that these empowering gurus will change your life. For my part, I know that I've been dramatically transformed just from holding these shows and hearing the remarkable thoughts shared by our guests. Indeed, I'm feeling much better after accidentally smashing head first while running into glass. (In fact, I'm thrilled that my headaches are subsiding — concussion begone!) Learn about the origins of Gratitude Week on Gab with the Gurus by reading the press release about the event. Please note that in all 5 shows for Gratitude Week, different angles were covered. And every show was equally fascinating, inspiring and helpful. So I urge you to listen to each and every show. How a practice of gratitude can completely transform your life. How gratitude can help you to become creative. How grateful people are more optimistic. How when you are thankful, your grouchiness takes a hike. For what celebrities such as Alicia Keys and Morgan Freeman are grateful. How being grateful can help to diminish your stress. How an attitude of gratitude helps you become spiritual. Many wonderful, practical pointers on how you can fit gratitude your daily routine. Tips on how you can slip gratitude exercises here and there to enhance your happiness. with multiple sclerosis a month before getting married. Here were Day 4's wonderful guests. 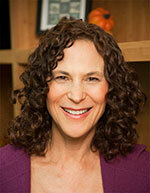 columnist and author of the new book, The Optimism Advantage. made a difference in your life. on the award-winning DVD series LifeForce Yoga to Beat the Blues. of Giving Thanks (to be published Sept. 21, World Gratitude Day). things a day for which she is grateful helped her turn her life around. Your Surroundings While Keeping What Matters Most. probably the number one cause of grouchiness. Thankful™ Network, which is syndicated syndicated across the country. transform your life, freeing you up to be the best of who you can be. with the Gurus on iTunes. release about Gratitude Week on Gab with the Gurus. 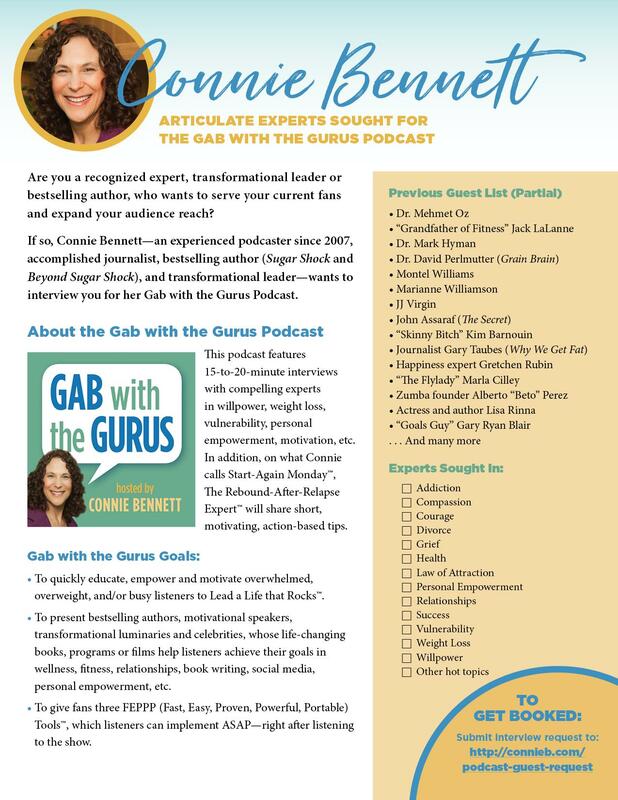 Stay tuned for another Gab with the Gurus Radio Show on Sept. 21 for World Gratitude Day and another show (date TBA) with a couple of gratitude researchers, who were unable to participate in Gratitude Week. Also, here's another recent Gab with the Gurus Radio Show about gratitude with Stephanie Gunning. release) — continued today on my Gab with the Gurus Radio Show with yet another amazing program. For Day 4 of Gratitude Week, five articulate, empowering guests shared their insights on the amazing connection between gratitude and becoming optimistic, reducing stress and becoming more spiritual. Before I tell you about Day 4's guests, you have to learn about this remarkable coincidence. Much to my delight, as I peeled off today's affirmation on my calendar from internationally acclaimed metaphysical author, speaker and inspirational teacher Louise Hay, I found that it focuses on gratitude! What are the odds of such a thing occurring? Many people say that there are no coincidences. Whatever the case, on Day 4 of Gratitude Week on Gab with the Gurus — triggered by my painful, but life-affirming accident — my Louise Hay calendar spoke to us about the power of gratitude! Anyhow, these were Day 4's wonderful guests. Listen to the show now. Thanks to the photo I took of my Louise Hay calendar for the artwork contained on this post. Please note, as you no doubt can guess, that I'm very much a fan of Hay House, the international leader in self-help and transformational publishing. As you may have read here, I recently announced that this wonderful company will be publishing my next book, the follow up to Sugar Shock! Stay tuned for your last chance to help name my next book.